Desc: Landstrom's Black Hills Gold Rose Gold diamond necklace. The pendant and chain are rose gold. 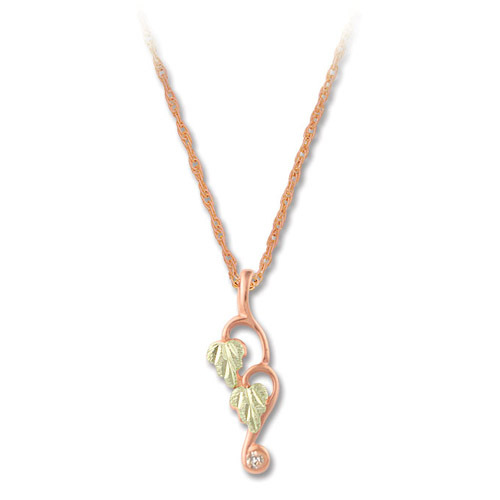 The pendant dangles with the diamond bezel set at the base. Green gold leaves are above the diamond.